Is there a biblical explanation? 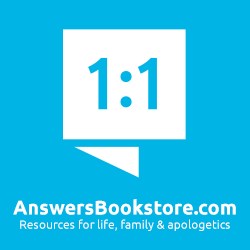 Over the last few years Answers in Genesis has released more than a dozen "Pocket Guides," most of which are on Creation-related topics with titles like: Global Flood, Six Days, Noah's Ark, Apemen, A Young Earth, and Charles Darwin. This is the third I've read, and I've really enjoyed all of them. Dinosaurs clocks in at 94 pages (and small pages at that - this really can fit in your pocket) which gives it room to explore and address the big questions, but not in any sort of overwhelming detail. For me this was pretty much the perfect balance of information and conciseness – a good overview of the topic, which can be finished in an evening or two. There are nine chapters, each written by a different author. 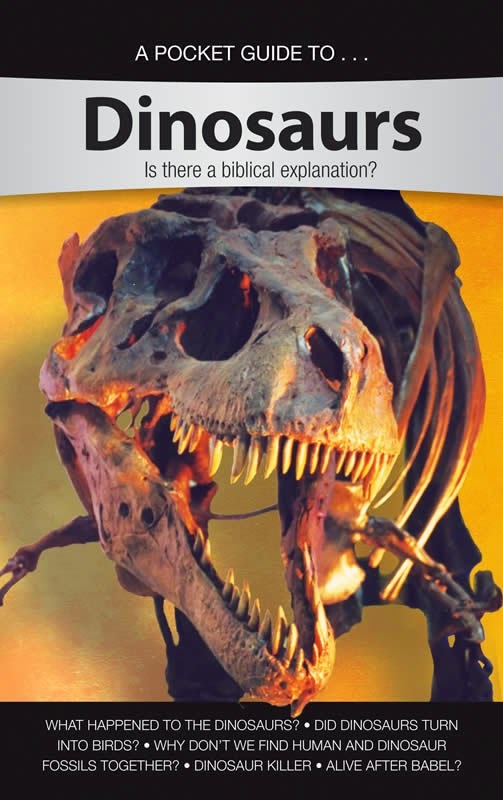 The first, by Ken Ham, is the longest, covering nearly a third of a book, and giving an overview of how the different ways that evolutionists and creationists understand dinosaur fossils is really a clash of opposing worldviews - the same evidence is seen by both sides, but interpreted very differently based on their presuppositions (their starting assumptions). This is a point made in each of these Pocket Guides, so if you read more than one, it will be a bit of repetition for you. But it is such an important point that hearing it again can only be a good thing. Additionally, each chapter is written by a different author which leads to some minor repetition, with points being made by multiple authors. Again, a little repetition (and that's all it is) is not a bad thing. Why don't we find dinosaur and human fossils together? It is cheap enough, concise enough, and thorough enough that I'd recommend it as a fantastic give-away to anyone who believes the Bible and also evolution. There is probably not enough in here to turn an ardent evolutionist, but many who accept evolution do so on the sheer volume of evolutionary propaganda they've encountered, rather than for any specific reasons, and a book like this could be a real eye-opener for them. It is intended for adults, and would be accessible to older teens as well. 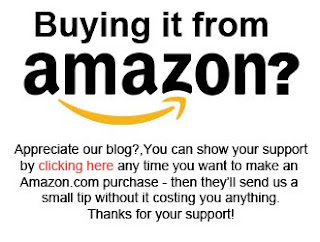 You can buy a copy here, at Amazon.com. Oh, and for the dinosaur enthusiasts who wants to explore the topic in more depth, I would recommend the Institute for Creation Research's Guide To Dinosaurs.